Centrifugal, or rotary, feeders are not typically known for their ability withstand heavy, hard, or sharp parts. Rotary style feeders generally thrive with light-weight plastic parts that would deform before causing damage to the feeder system. Of course, a part is not automatically considered suitable for a vibratory feeder just because the part will not work in a centrifugal feeder. For years, there has been a growing shortage of skilled labor in virtually every industry. The well-intended countrywide push to educate young people was pigeonholed to college degrees and bypassing most labor, which now seems like a shortsighted plan. The feeder industry was built by craftsmen that take pride in their work and thrive on translating cerebral activity into physical form. 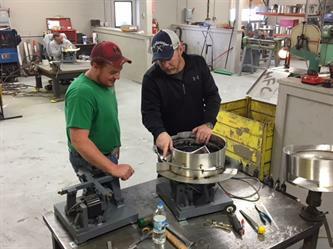 Although the issue of limited skilled labor is slowly being addressed across the country, Hoosier Feeder Company is taking proactive steps to educate youth in that regard. Mentorship, especially in the niche industry of parts feeding, is integral to the survival and imminent growth of the manufacturing industry and we full-heartedly believe in practicing just that. 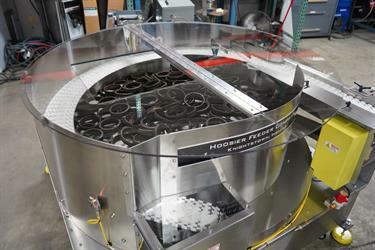 Hoosier Feeder Company builds feeding systems for a vast number of different processes in the manufacturing realm. 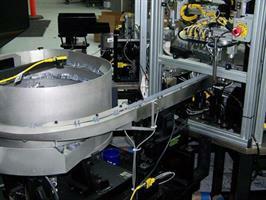 One process that is not immediately associated with manufacturing is part inspection. Extremely large companies and companies that require a large number of high-precision parts, often fasteners, look to automate the inspection process itself which provides a new set of parameters for us to build to. Inspection companies look for a variety of qualities in the parts they inspect, and it is our job to prepare and present the parts precisely the way they need. Here are some common “vocab” terms that we at Hoosier Feeder Company commonly use to discuss our centrifugal feeder systems so that you can have a deeper understanding of what we do. Robotics in the manufacturing industry has changed the way we make our things as a society. From programmed welders on car assembly lines to palletizing robots at the end of a packaging line, robotics are becoming more and more involved in our manufacturing processes. 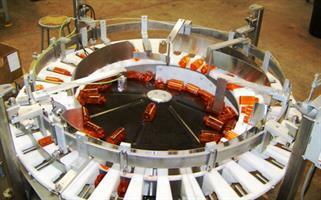 Hoosier Feeder Company wanted to supplement the steady increase of their use and offer a parts handling machine that was optimized for use with robots. 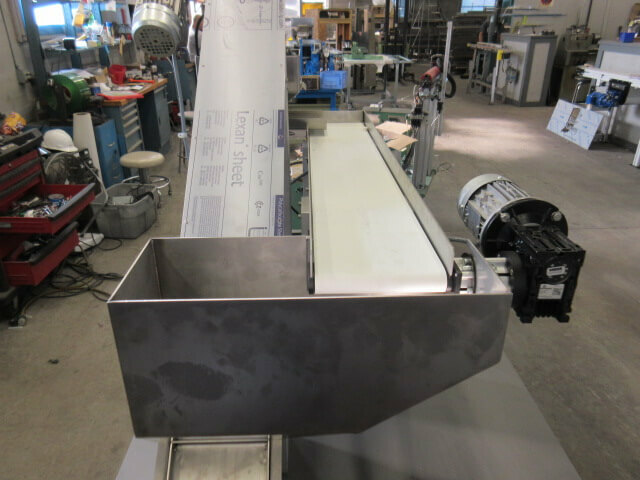 After spending time in various manufacturing plants using the growing technology, we found our opportunity and are excited to present the Hoosier Feeder Company Flex Feeder. 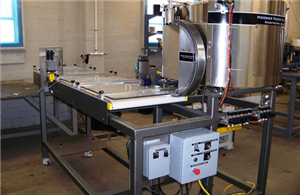 Depending on the size of your current operation, adding part feeding systems can be a sizable investment into your company and as a result may require some careful consideration. Anytime you invest back into your company it’s important to understand how the investment will return and help add value to your processes, products, and company in general. At Hoosier Feeder Company, part feeders are our “bread and butter”, and we interact with these machines every day. As the parts feeding industry has grown over time, so has the language that is used to communicate within it. We try to communicate about a projects inner workings as clearly as possible but sometime, we confess, those conversations get a little “wordy”. Here are some vocabulary words that may help shed a little light into your next vibratory feeder project. 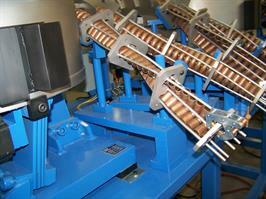 Vibratory feeders appeal to many applications, however there are some that provide to be more troublesome than others. At Hoosier Feeder Company, we like to ask questions up-front to fully understand the application and easily avoid total project failure (i.e. building the feeder and system to find out that it does not work). When we consider project failure, realistically, it comes down to how seamlessly our system is integrated into our customers production line. 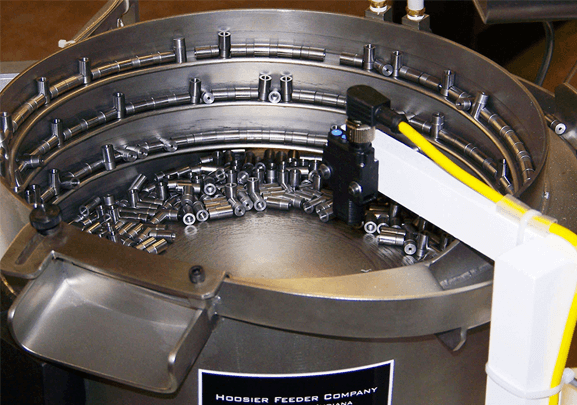 You, our customer, can take steps along with us here at Hoosier Feeder Company to ensure your new feeder system easily adds value to your automation project. Our HFC Vibratory Feeder was Delivered. Now What? In many cases, the arrival of a feeding system to a machine-build is an important stepping stone, as many parts used in the process originate from these feeders. Additionally, the pressures of an aggressive build schedule can be exaggerated when new equipment is arrives because that usually means another tier of work is now ready for attention. Despite these pressures, it is important to carefully integrate your new feeding system into your production line to avoid causing more trouble than necessary. Luckily, with some due diligence, many common issues upon receival of a feeder system can be avoided. 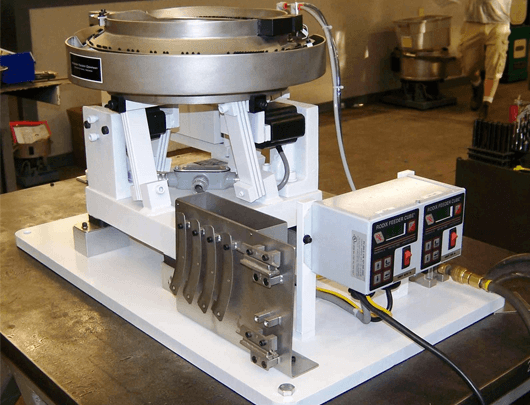 While it is extremely unlikely that a vibratory or centrifugal feeder ends up in a household, chances are, a feeder has played a much larger role in the production of goods you find in your house every day. From consumable products, to tools and automobiles, the products made in large quantities for the masses must be manufactured in way that is financially reasonable, and Hoosier Feeder Company feeders help our customers do just that.